Celebrate King’s Day the right way! King’s Day is easily one of the wildest holidays in Holland, where the streets are flooded with Orange and the drinks are flowing freely! Formerly known as Queen’s Day, this national holiday celebrates the Netherlands royal family… and what better way to celebrate than drinking all day in throughout the city! In addition to Dutch commemorating their national holiday, a ton of tourists flock to Amsterdam to get a taste of what Kings Day is all about. For those of you who aren’t from Holland and want to celebrate King’s Day properly, we are here to help! – Stop by the Jordaan around Cafe De Blaffende Vis. There are a ton of live performances and DJ’s until late at night, so you can properly prepare for the real celebrations for the next day! – Want to get the party started after work next to the water? Then check out Kingston Crown at Hannekes Boom, where the party begins at 19:00! Enjoy a smokey barbeque and some funky DJ sets! o Free-entry into the bars on the pub-crawl. Click here for more information on this deal! If you happen to survive the festivities of King’s Night, then here are some helpful tips for making it through the real celebration on King’s Day! – If you love Electronic Dance Music (EDM) festivals, then Kingsland Festival is definitely up your alley! With big-name performers like Tiesto, Martin Garrix and Nervo, this festival will definitely make your King’s Day one to remember! If you aren’t located in Amsterdam, don’t worry! The festival is going on in cities all over the Netherlands on the 27th of April. Click here to find out if the festival is in a city near you! 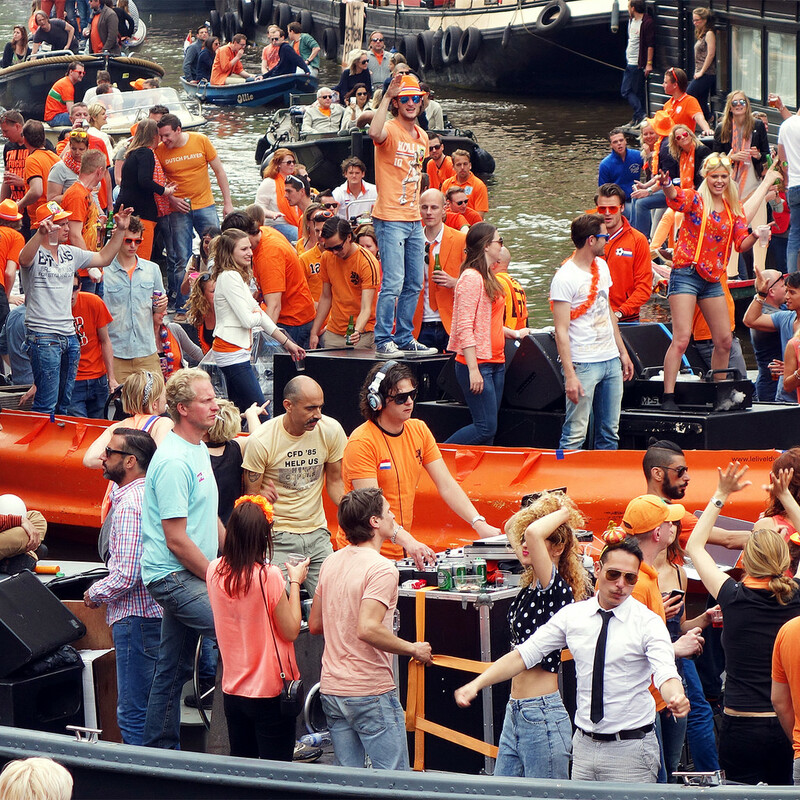 – If you want to celebrate King’s Day in the center of all the action, then a boat party s the best choice for you! On this day, the canals are flooded with boats blasting music and having a good time. Don’t know anyone with a boat? No worries! There a loads of canal cruises and boat parties with tickets priced at €25! Check out more information here. – Sometimes it’s better to just go with the flow and wander into different pubs and parties throughout the day. If you aren’t one for planning, then try hanging out around Utrechtsestraat and watch the boats go by. If you are looking for a more low-key environment, you should check out NDSM, a cultural creative hotspot. There is a beach where you can soak up the sun (if it makes an appearance), listen to some music and grab a bite to eat! – Would you rather make money than spend it? Well, King’s Day is one of the few days a year where there are open markets – meaning anyone can sell their old belongings. Dig up that outfit you know you will never wear again and line up in one of the city squares to do some Spring cleaning! More information about the free-marketplace can be found here. Public transportation is always insanely crowded on this holiday, so try to meet up with all your fellow party-goers ahead of time! Keep an eye on your belongings because the pick-pockets will be out just waiting for you to leave your purse open. 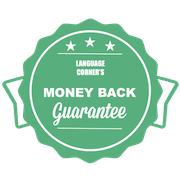 https://www.languagecorner.amsterdam/wp-content/uploads/2017/04/14066673893_705a564b06_b.jpg 1024 1024 Katie Snyder https://www.languagecorner.amsterdam/wp-content/uploads/2017/05/Language-Corner-logo.png Katie Snyder2017-04-25 12:10:312017-04-25 13:32:57Celebrate King's Day the right way!